Every June marks LGBTQ Pride Month and here at Northwell we stand proudly with our LGBTQ community and celebrate – in June and every month! We value being Truly Ourselves and Northwell stands united, proud and respectful, always celebrating our differences. 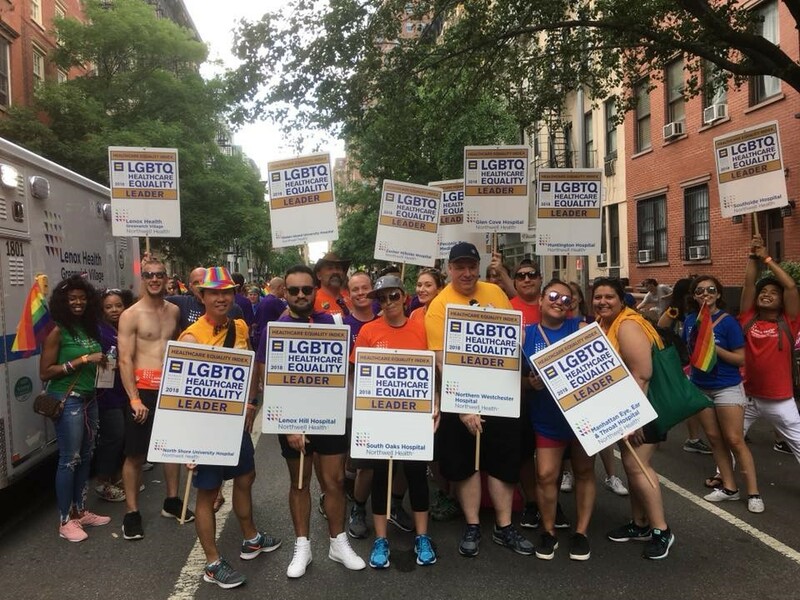 As a large supporter of the LGBTQ Community, Northwell attended numerous Pride events across all regions along with participation and guidance from our EXPRESSIONS BERG (Business Employee Resource Group). EXPRESSIONS is Northwell’s lesbian, gay, bisexual and transgender, and questioning (LGBTQ) BERG. Members consist of Northwell Health employees who identify as LGBTQ, are allies of the LGBTQ community, and are passionate about promoting unity, health equity and awareness of the LGBTQ community. They promote awareness and inclusion in the workplace, and connect the community with services based on their unique health care needs. As a champion of Health Equity Northwell Health has earned recognition and been designated as a Leader in LGBTQ Healthcare Equality in the Human Rights Campaign (HRC) Healthcare Equality Index for 2018 and is a committed ally in the fight to break down barriers and offer individualized, and compassionate health care to each and every person it serves. 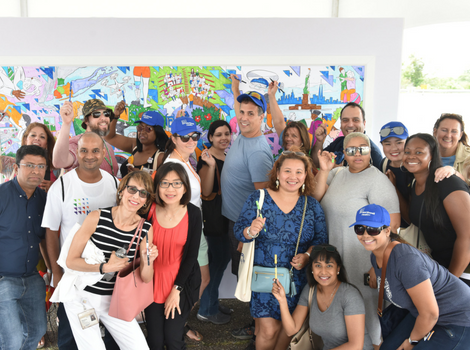 Check out some highlights from Northwell’s Pride activities! On June 2nd, Westchester’s largest LGBTQ center held its annual pride festival “LOFT Pride” with a pet parade, food trucks, vendors, raffles and advocacy stations. The event had performances by Broadway Sings for Pride, Sutton Lee Seymour, Fogo Azul NYC, Lyane Deep Priest as well as the LOFT Pride Chorus. Phelps Hospital and the Phelps Medical Associates participated with an informational table. Phelps Hospital and Phelps Medical Associates attended the 20th annual Rockland Pride on June 10th. In addition to the informational tables, the event had live music, kids’ activities, art, dancing and food trucks. Northwell Health attended the 20th annual Pride Parade in Cherry Grove, Fire Island on Saturday, June 16th. 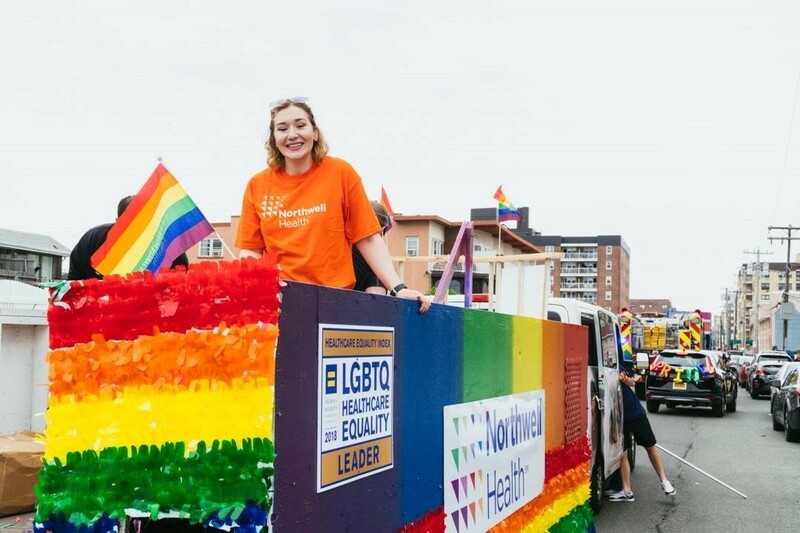 The town was decorated with our Northwell Health pride flags prior to the parade along with float and marchers that participated in the event. The 28th Annual Long Island Pride Parade took place on Sunday, June 10th in Long Beach, NY. This year’s theme: “Brave.Strong.United” rang loud with Northwell’s very own parade float and full marching contingent composed of engaged and devoted employee volunteers ready to show their pride! Northwell Health participated in the annual NYC Pride Parade and Festival on June 24th. In addition to a marching contingent of 200 participants, Northwell had a large presence at the festival with representation from Lenox Health Greenwich Village, Imaging, Orthopedics, the Center for AIDS Research & Treatment, the Center for Retroviral Diseases as well as the Friedman Transgender Program. Looking to get involved? EXPRESSIONS BERG is currently in the processing of planning their next meeting. Start your career with Northwell to get involved today! 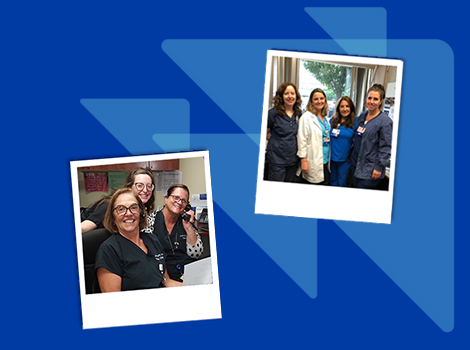 Are you Made for a career at Northwell? Explore current job opportunities.